I’m just back home from a lovely visit to Glasgow, “The Dear Green Place” of the title of this blog. It was really great to get away. Some of you may remember that I did a course online with Irish artist Roisin O’Farrell last year, I learned so much about alla prima oil painting, creativity and “feeding the well” Roisin, believes that before we can expend a lot of creative energy, we need to spend some time topping up our own energies by taking in the creativity of others. That’s what I’ve spent the last few days doing. I was lucky to be able to catch the last day of the Turner exhibition in Edinburgh, the first few days of the Da Vinci exhibition as well as the work of the Glasgow Boys at the Kelvingrove. We stayed at a lovely hotel, attended a couple of concerts at the Mackintosh Church as part of the Celtic Connections festival. I drank coffee in coffee bars, ate some delicious food and did some sketching and people watching. I’m back home now and, well duly filled, and I’m getting ready to set up my Etsy shop. This is something I’ve been planning to do for a while and which I just never got round to before. So I’m going to do it as part of a celebration of my 20 years in Lochcarron. I’ve been working on some small local landscape paintings, 20 of which will be mounted in an 8 x 10ins mount and which I’m going to sell for only £20 each. 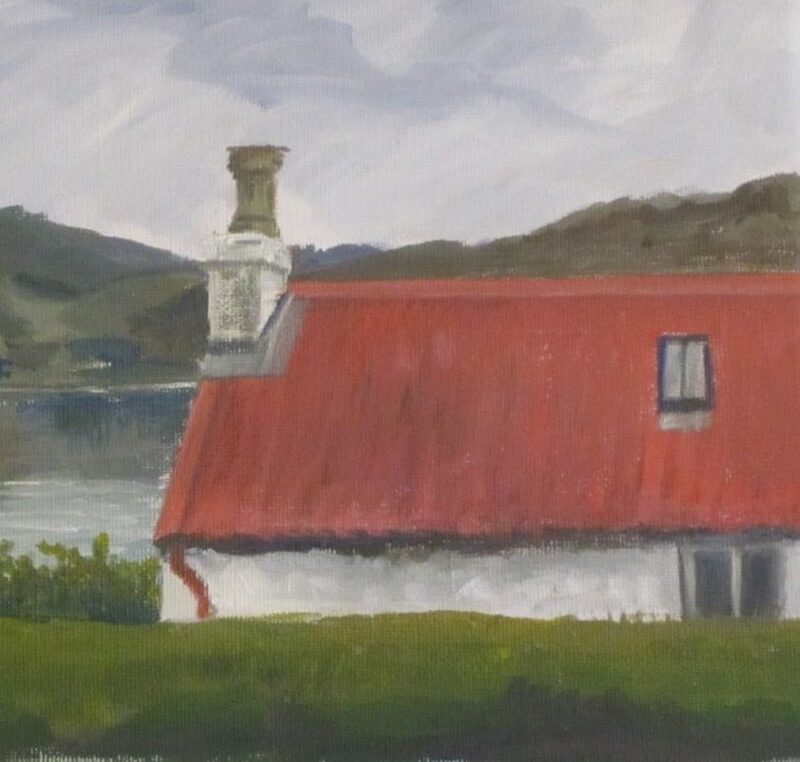 They’ll only be on sale for a short time at that price and I’ll be uploading one a day, every day, from Saturday 9th of February until March the 1st, the 20th anniversary of our move to Lochcarron. Hopefully everyone will like them! I’m still trying to do something creative every day as part of the #100daysproject and so as well as continuing to sketch and work on the small landscape studies that I’m putting on my Etsy shop, I’ve started to read a novel by Peter May, Entry Island, a modern murder mystery which is filled with echoes of the past, black houses and famine in the Western Isles. I love Peter May’s work, but this is a new one for me and will hopefully compliment the histories that I’ve also started to read. What did you see at the Mackintosh Church? I saw the Como Mamas there this year and Mandolin Orange last. Great venue!